Start with this luxury toilet brush and holder. 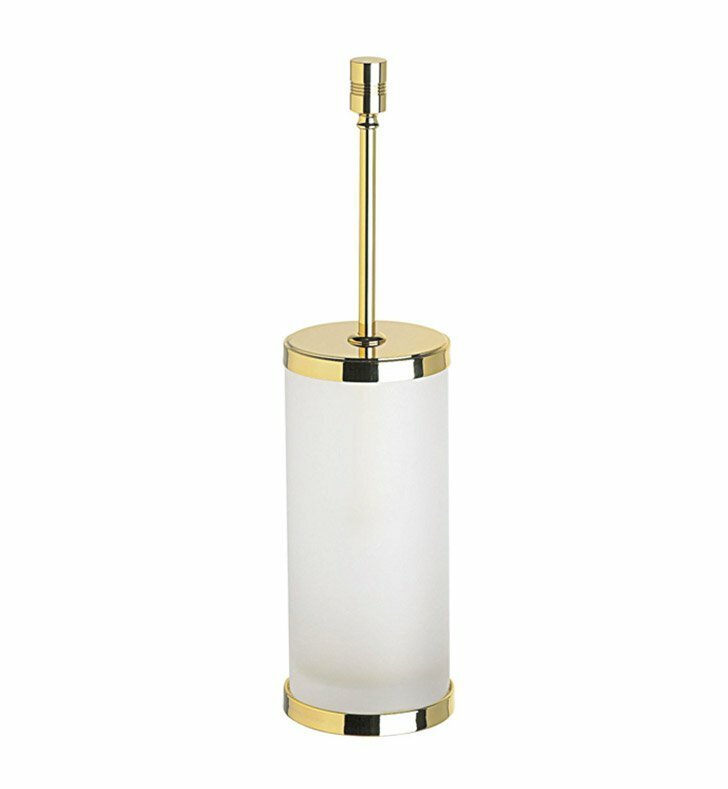 Floor Standing and available in chrome, gold, satin nickel, and chrome and gold, this frosted glass toilet brush holder will fit perfectly into a modern personal bathroom. Designed and made by Windisch in Spain. From the Windisch Cylindrical collection.